Happy Friday! More vacay pics to come... Oh, and some more great giveaways next week! 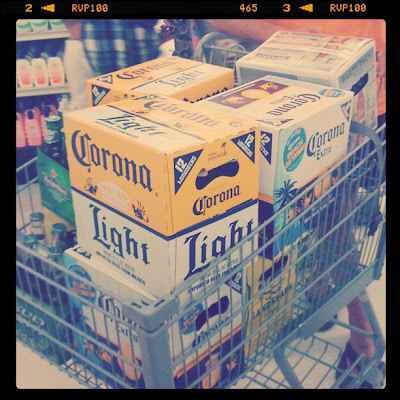 Vote if your vacay shopping cart looked similar! That's awesome. I'm linking up to Y3W for the first time. www.educatingmissamber.blogspot.com. Yummy! LOL. With some lime and salt, oh! Cute blog you have, i love your banner.